How was your weekend? Did you have a great time? I actually didn't enjoy this weekend at all. Well, before I start to talk depressive things about how clumsy I am, let's get into this post which is going to be about the Kawaii Box which I won on a giveaway and totally forgot about it until, one day, it came to my doors and I was so happy because the items I got are so cute! It's the October box but I got it in the beginning of December so I hope you don't mind I'm a little late. First of all I got these little candies in a package with a little dog on it which I think is so cute. I didn't try the candies but I am curious about them so I'll probably try them as soon as I finish this post. 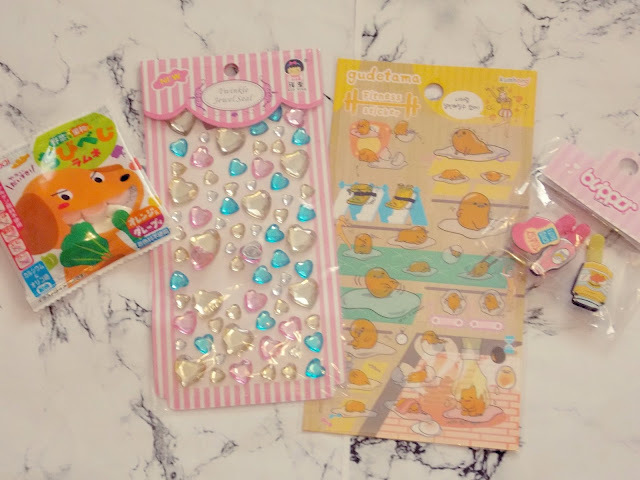 Next, I got these heart shaped little stickers which I am in love with! It reminded me of a time when I used to collect stickers like these ones. I was probably like 10 years old and had a full album of the stickers. Did you collect anything when you were younger? Then we have another pack of stickers, but these ones are gym and fitness themed. They are so cute and I'll probably use them to decorate my planner for 2018 which I am planning to buy these days. I will write a post about it as soon as I buy it because I think you'll love it, the brand I am planning to buy is amazing! Food clippers! Isn't this the coolest thing? I have never seen something like this before. Kawaii Box really offers some of the unusual items you couldn't find anywhere else. 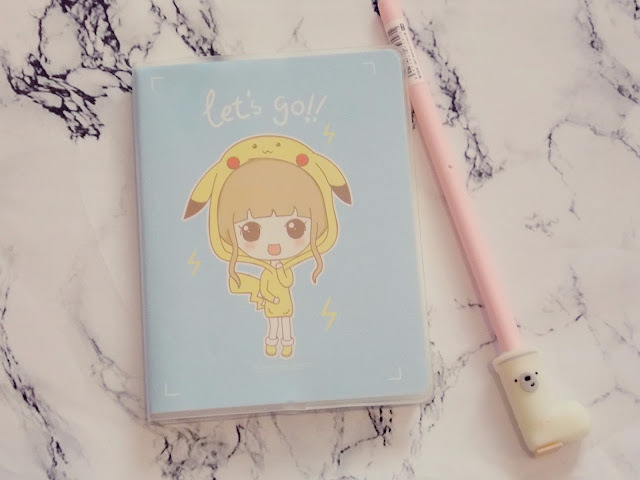 I'm obsessed with getting new stationery things, especially little notebooks like this one. I never actually write in them because I don't want to ruin them but I just ... Love to have them. That sounded pretty weird but okay... So this little notebook has this cute little girl wearing Pokemon costume and above her it says 'let's go!!' . I really love this one and the pen that I got with the notebook is the pinky boot pen with a little bear face. How cute is that? 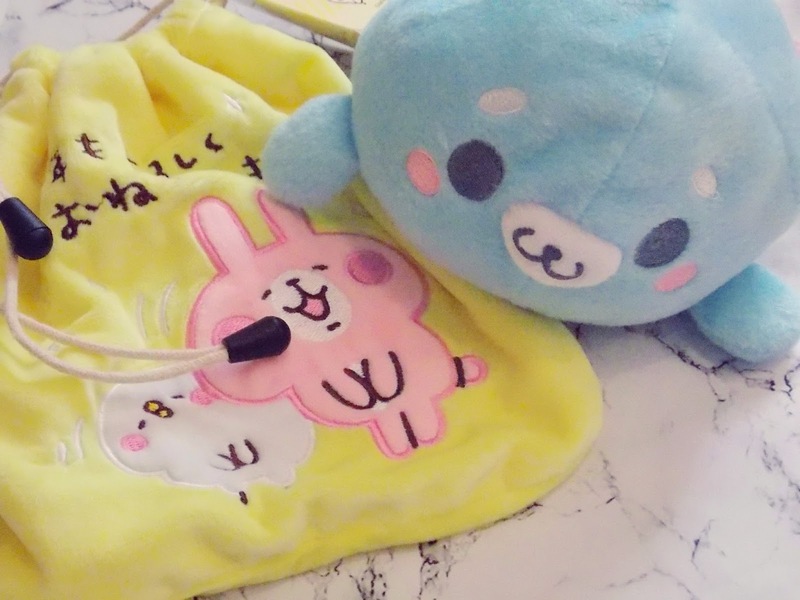 The last two items are the softest things in this world! We have a little yellow bag with rabbits on it and I don't really know for what I am going to use this one but I really like it. The next is a dolphin (or at least I think it is) toy. I love to have toys on my bed and to sleep with them so I'll probably put this one there,too or I'll give it to my younger sister. Anyways, it's adorable! That was all for this post! Really hope you have enjoyed this one! If you did, be sure to let me know in the comments down below. Quanta fofura adorei essa caixinha. 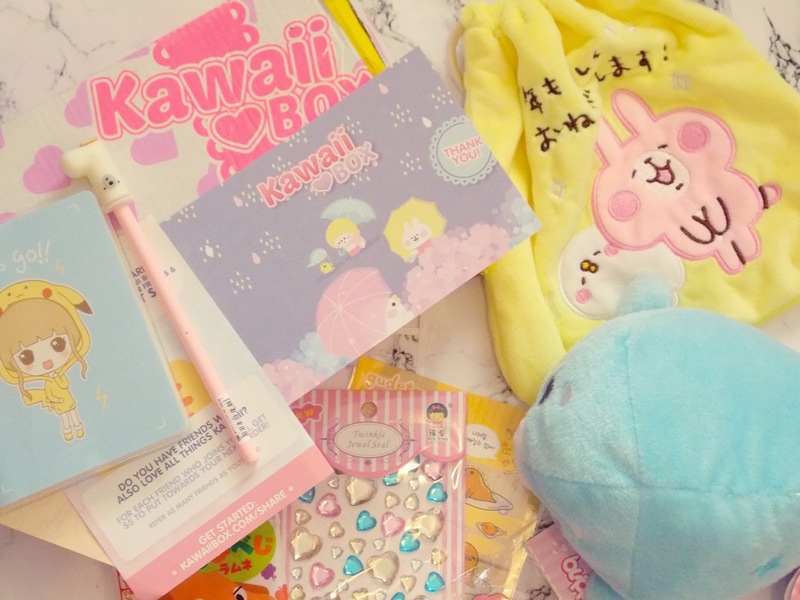 i want to buy a kawaii box, very very cute! Thanks for sharing this lovely post with us.....we are waiting for your another write ups..